5 days ago, we prepared seeds and seedlings to be transplanted. We put soil in a half a bamboo stem and put some soil and manure to make a bed for the seeds. 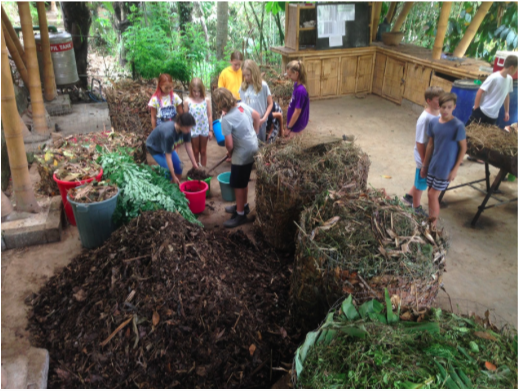 We put the seeds in the bamboo and under a roof. In 2 weeks we are going to transplant them into the garden. 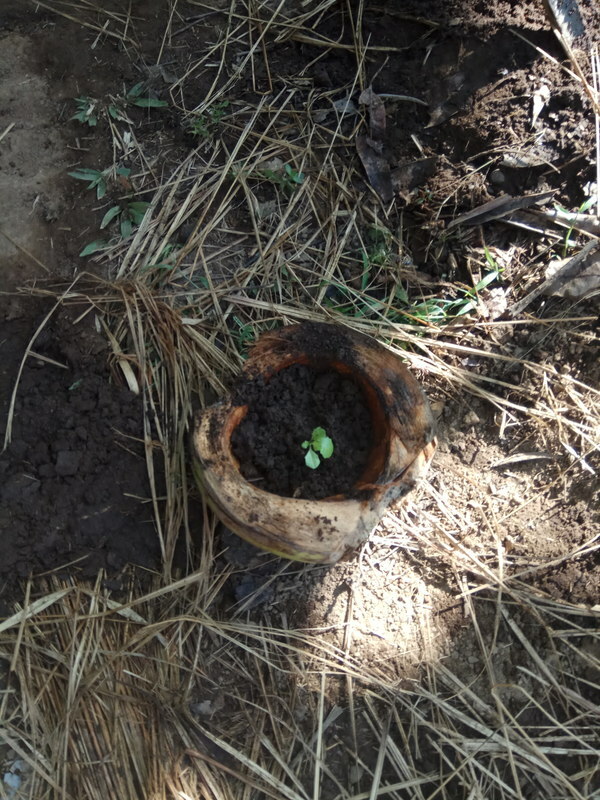 The reason we put them into the bamboo instead of just planting the seedlings directly into the garden is because they might not survive the elements that are too harsh for seedlings. 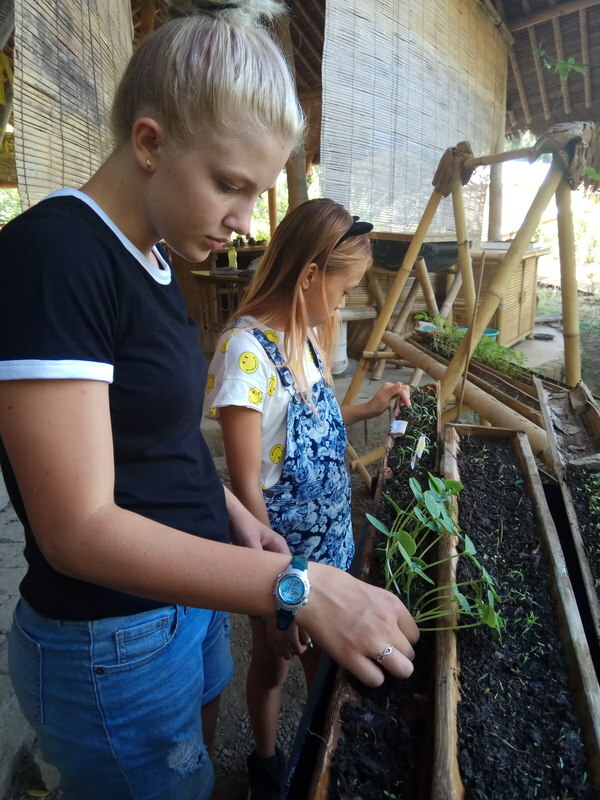 So we put them in the bamboo and placed them in a shelter so that we can manage the amount of sunlight and water that the fragile seedlings get. Now we are just waiting until they are strong enough to get transplanted into the garden. 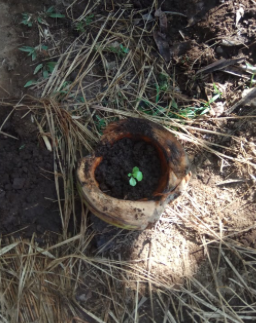 After we picked the seedlings we wanted and transplanted them to our gardening space, it was time to add the manure, alang alang and start watering. A few of us walked down to cows near the bridge and collected the manure. When we had collected a few buckets of manure we walked back up to the garden and spread the manure evenly over the top of the beds. 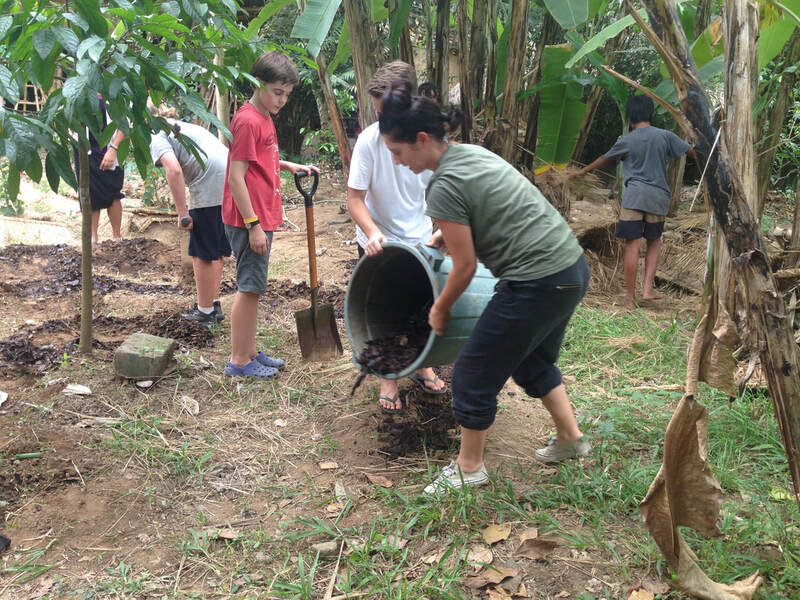 Once we had the soil evenly distributed over the beds, some of us went on a walk to the green campsite. We handpicked some alang- alang to cover the nutritious soil. The point of covering our garden beds is to keep the soil cool and moist. We walked back up to our garden and split up the alang-alang into pieces. After we had split up the alang-alang we spread it over the beds. Today for our Edible Garden Project we started clearing the garden beds. When we arrived at our garden plot on campus, it was full of weeds that went as high up as out knees. There was one big pumpkin vine that went up the tree in the middle of our garden. We pulled out most of the plants other than the mint, the chilli tree, and the sweet potatoes, which we left to continue growing. Our goal of the day was to have a garden that was looking well groomed with no weeds. By the end of the class, it just looked like a flat garden bed with a few random plants scattered around. When we finished picking the weeds, we shaped the beds. After shaping the beds, the soil was a bit dry so we watered it. Finding the water source to water the soil was a bit challenging because our school had cut the faucet next to our garden for that day. 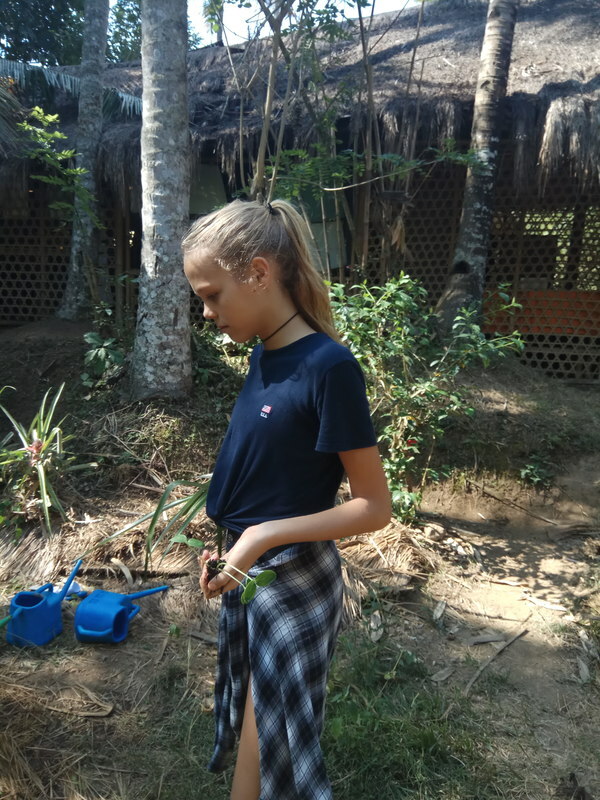 We ended up having to fill our buckets of water in a not-so-nearby the sink and carry them to our garden to disperse amongst the beds. Before the end of class we finally found a way to connect a hose to the bathroom sink which helped us work much more efficiently. We finally decided as a class that we were going to begin to grow our own Edible Garden on the Green School campus. Being inspired by Katie's efforts in "Starfish Throwers," we felt as a class this might be our best way to begin. BLOGGERS: A bloggers job is to create and maintain this blog on WEEBLY. The bloggers make decisions about what the blog will include including pictures, stories, and updates on our project. You can also find a section that talks about the inspiration behind our project and our goals for the year. The Bloggers work closely with all the other groups to ensure our website captures the full story of each groups role throughout the year. Next week we are going to start weeding the plants out of our allocated garden area and shape the beds so we can soon begin planting. 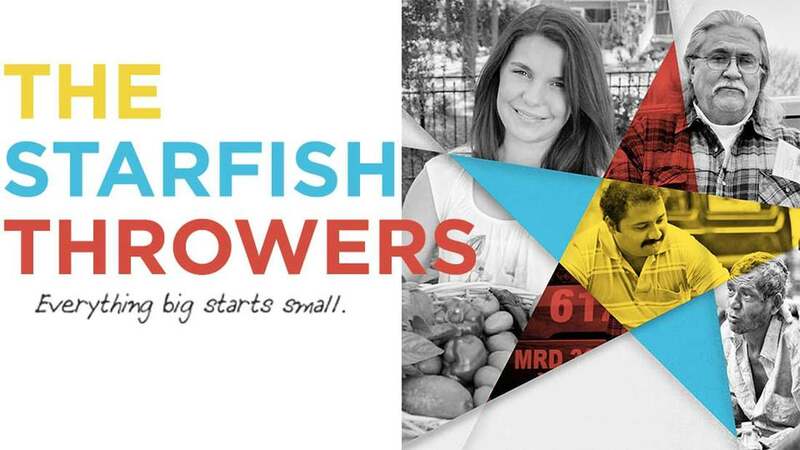 In our thematics class this week we watched an inspiring documentary called, “Starfish Throwers”. It followed three different people around the world, that took the problem of world hunger into their own hands. Katie, a young middle schooler from South Carolina, USA, grew a giant cabbage as part of a school project. She donated her cabbage to a local soup kitchen to help feed homeless people and was inspired by how many people one cabbage could feed. There is also a retired school teacher, Allan Law, that made sandwiches for the hungry people on the streets of Minneapolis. He spent every single night driving around the city giving people sandwiches to eat and spare change for a city bus ride. Lastly, there was an Indian chef named Narayanan, that used his cooking skills to help the poor and hungry on the streets of Madurai, Tamil Nadu. He handed out millions of rice food packets to homeless people around Madurai. He went on to open a centre for the homeless, where he fed them, bathed them, clothed them and gave them an opportunity to help around the centre to help provide a sense of purpose. 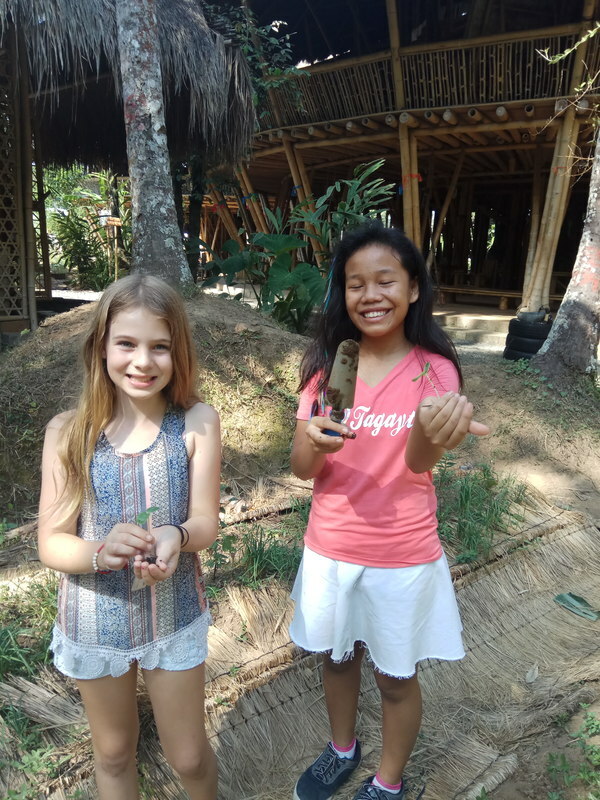 Our class was extremely inspired by the film and during our class discussion today we decided that we wanted to and believed we could do something as the grade 7 class to help support people here in Bali in some way. Our first step is to brainstorm and share ideas of how we might help in a sustainable way. Stay tuned for more stories on our newly developing project.